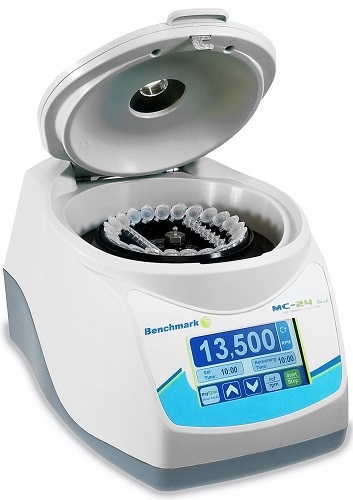 Benchmark’s MC-24 Touch is the first microcentrifuge features a touchscreen control. 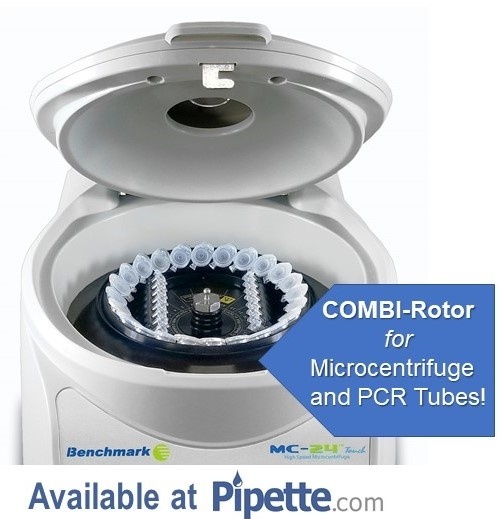 Coupled with the next generation control panel, the MC-24 centrifuge offers high centrifugation speed, up to 13,500 rpm/16,800 x g.
The MC-24 is the first high-speed microcentrifuge to incorporate a unique COMBI-Rotor™ that is compatible with both standard microtubes (1.5/2.0mL) and PCR tubes/ strips (0.2mL) without using adapters or additional rotors. 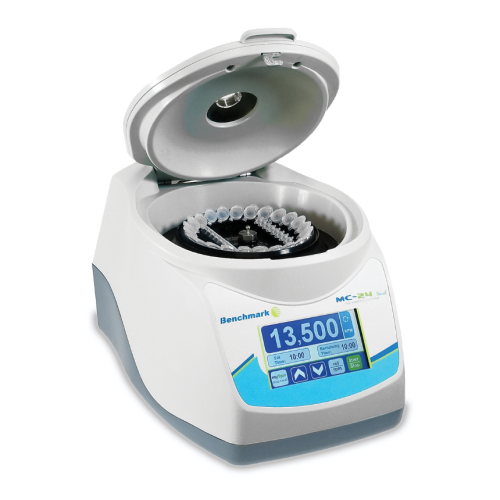 The cutting edge and versatile features make this the perfect centrifuge for any laboratory. The large, color touch screen shows actual speed (in rpm or rcf) along with set and remaining time. Up to 9 speed/time profiles can be stored in memory and the home screen displays a “mySpin” icon for instant recalls a designated favorite profile. 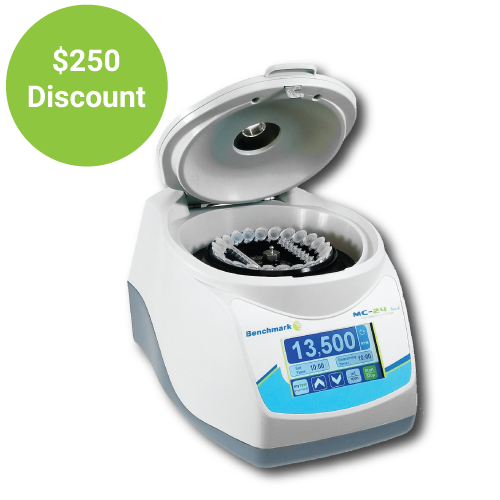 Samples are kept cool, even during lengthy protocols at the maximum speed, by a proprietary air flow system that moves air steadily and quietly throughout the chamber. 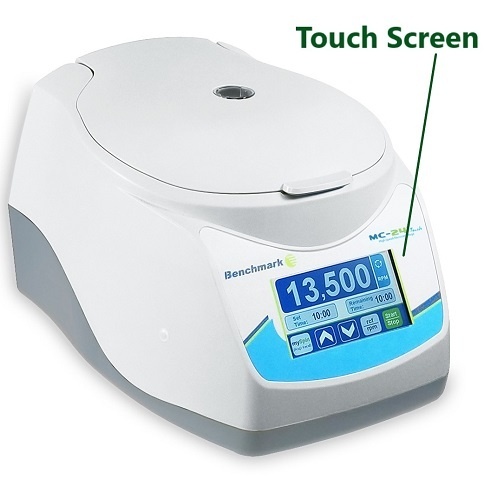 The MC-24 Touch is cold room safe and carries a 2-year warranty. Only 9" by 12" x 7.75"
Dimensions 9 x 12 x 7.75 in.